"Truth is more shocking than fiction." Barbara Daly was a young woman who was vivacious and excited about life. She also suffered from mental instability. Her family is rich, she is the only heir to the great fortune of a powerhouse company, Bakelite Plastics. Her father is not thrilled with her choices and considers her a complete failure. He changes his mind after a savage attack on his daughter occurs. His life will be forever changed because of the horrible events that unfold. 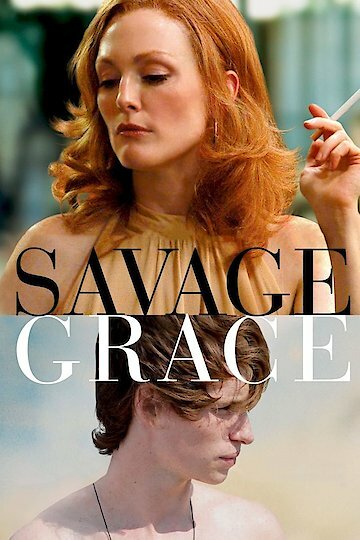 Savage Grace is currently available to watch and stream, buy on demand at Amazon, iTunes online.